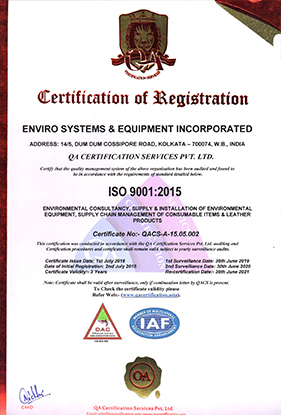 In quest of “Pollution Free World” a new generation Technologists and Scientists have constituted this company in the year 2004. The company is equipped to design, manufacture a wide range of products in Industrial Ventilation, Air Pollution Control System, Water Pollution Control System including structural design & construction. The company has offered customized engineering solution to a number of companies. Patronized by many big names from the corporate sector of Indian Industries, the company is committed to offer effective and efficient control system. The company has been undertaking design, fabrication, supply, erection & commissioning of water & waste water treatment plant, air pollution control system. It has made a marked impact on various industries, specially in eastern region, for installation of above said systems. Industries in the core sector like Power, Steel and Cement have always availed the benefit of cost saving in operations by opting for our equipment. Food & Pharma, Sponge Iron Plant, Paper Mill and Jute Mills are among our esteemed customers.